Contrary to what parents might have thought 30 years ago, video games do not rot the brain — in fact, there are numerous studies showing a link between critical thinking, as well as hand-eye coordination, and video games. But even with these benefits, the last thing you want is for your child to spend all their time cooped up indoors playing Fortnite. Who knows what they might be purchasing, or worse, who they might be talking to. Here are ways you can keep a closer eye on your kids’ gaming activity. 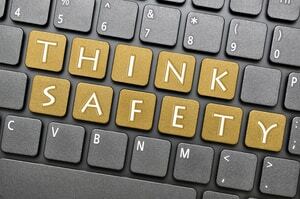 Consider a keylogger to monitor their conversations. It can be hard to know what your kids are talking about and who they are talking to, but a keystroke logger will tell you every single button press your kids make. Just keep in mind that using this for gaming can be confusing, as it will make a log of every keystroke—including your kids using W, S, A, and D to move within the game. You’ll have to navigate through the logs to find when your kids have a conversation with another player in-game. Use a program like RescueTime or other built-in tools to track how your kids spend time on the computer. 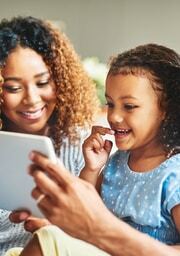 If you aren’t sure how much time your kids spend on the computer—or you suspect they play games when they’re not supposed to—you can use a program that monitors their activity and reports back to you. Some of these programs will allow you to lock certain activities if they extend beyond a certain time period. If your kids play on console more than computer, never fear. The PlayStation 4, Xbox One, and Nintendo Switch all have optional parental controls that can be used to limit the amount of time someone spends playing video games on a day-to-day basis. Just make sure your kids don’t learn how to bypass those controls. 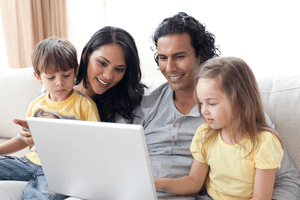 Use parental controls to block purchases and transactions. With so many micro transactions available in games today, it can be hard to stop kids from spending money both deliberately and accidentally. After all, it only takes a few clicks to buy the “Battlepass” on Fortnite, at a cost of $9.99. The same parental controls you use to restrict playtime can also be used to restrict purchases. If you enable these settings, your kids will not be able to spend any money in the game. No need to worry about becoming one of the parents on the evening news whose kid spends $800 on new skins. Video games are a fun pastime, and they may even help boost some fine-motor skills. They also allow your kids to socialize with friends without leaving the house. But like everything else, they should be played in moderation. Use these tools to keep an eye on what your kids are up to. You can keep them safe (and protect your wallet) without intruding on them in any noticeable way. They’ll appreciate the illusion of independence while they play games with their friends, and you can rest easy knowing they’re safe on the internet. Patrick is an Atlanta-based tech writer for Xfinity. When he’s not writing, he can be found spending his time with the latest videogame or chasing down the most recent challenges in Fortnite.